Death threats. Police protection. This is now part of Hervé Falciani’s life. Former IT specialist at HSBC bank in Genova, he spoke his truth to Premieres Lignes journalists who were investigating tax evasion for the “Underhand tactics” series. Journalists Valentine Oberti and Wandrille Lanos met Hervé Falciani in Spain. They were given exclusive access to the “stolen” data from HSBC that reveal a massive organised fraud system. 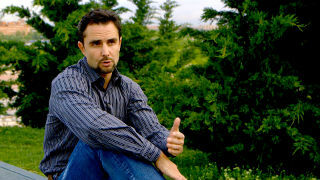 The journalists followed Falciani for six months, collecting his statements. When Hervé Falciani left HSBC in 2008, he took with him the entire bank’s client list worldwide. It took three hard drives to copy the names, personal details and bank account numbers of all HSBC tax evaders hiding their money in the Swiss tax haven. Sued by Switzerland’s justice for data theft, he had been heard by many European and American intelligence services. Family man Hervé Falciani knew too much. In 2009, he decided to hand over the full list to the French tax services… But some people in charge accuse the French government of obstructing the inquiry process… in order to protect some personalities who had their names on Falciani’s list. Find out more about this outsanding investigation on tax evasion “Underhand tactics: The Untaxables“.